Should Women Really be Silent in Church? 8 April 2019 - 8 March 2018 - by Ray Hermann, D.Min. Over the years I’ve often been asked, by women, if I believed women should really be silent in religious instruction, as it says in the Bible. They were all seeking comment or advice in reference to 1 Corinthians 14:34-35, which states: “Women should be silent during the church meetings. It is not proper for them to speak. They should be submissive, just as the law says. If they have any questions, they should ask their husbands at home, for it is improper for women to speak in church meetings” (NLT). Although that is what is written, I know religious leaders often extended that attitude to all parts of family life. Countless churches I’ve visited were led by pastors who were firm believers in women being silent, not only in church, but in all matters of religious instruction, and sometimes in their home life, too. They believed the husband was the head of the family and the wife was expected to be submissive. “Just as the Bible instructs,” would say the pastor, as he threw this scripture into her face, when a husband brings up the problem of a defiant wife. So, needless to say, my opinion on this scripture has not always been welcome by some pastors, but the following is basically my take on it. Just to be brief, before we examine the evidence, the scripture above has nothing to do with average home life situations. I have opinions about the extent and limits of headship in the home, but that is an essay for another time. This article will only examine the meaning in 1 Corinthians 14:34-35 and other scripture to establish that women were not only allowed to speak, but also to have leadership positions in the very early church. Basically, all scripture needs to be studied in the proper context to have a proper understanding. 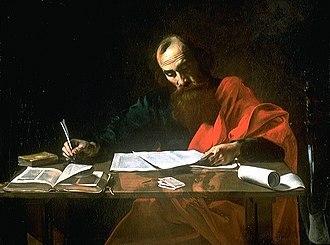 Paul had a particular style of writing and the readers of his letters, at the time they were written, would not need detailed descriptions about what he wrote, because they would have understood that the point he was trying to make was based upon particular situations. In this part of Paul’s first letter to the Corinthians, he was setting forth several regulations, or directives, concerning proper church protocol. Although, at that time, there was no established order for services, he felt they should be conducted in a fitting and orderly way. As mentioned, Jesus set a new standard for acceptance of women as more than just passive members of society. One can say that Christianity initiated a remarkable improvement for women. 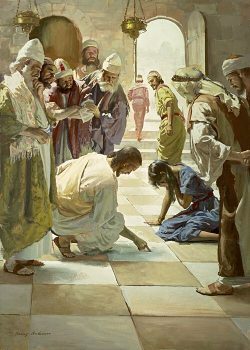 In one confrontation, Jesus spoke up for a prostitute in John 7:53-8:11, when he shames the crowd that wanted to stone her. Another interesting story is that of Jesus preaching at the home of sisters Martha and Mary. While Martha works in the kitchen preparing a meal, Mary sits at Jesus’s feet listening to what he said. 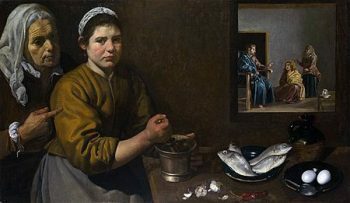 Martha complains that Mary should be helping in the kitchen and Jesus interjects to the contrary saying, “Martha, Martha, you are worried and distracted by many things; there is need of only one thing. Mary has chosen the better part, which will not be taken away from her” (Luke 10:38-42, NRSV). Any later push-back or retreat of women’s liberation and progress that Jesus began, happened long after the start of Christianity, when men’s rule overtook that of the established Church. 1. Jones, Robert, (Ed. ), The Lexham Bible Dictionary, (Bellingham, WA: Lexham Press, 2016), 1 Corinthians 14:34-35. 3. Dockery, David S., (Ed. ), Holman Illustrated Bible Dictionary, (Nashville, TN: Holman Bible Publishers, 2003), p. 693. 4. Barry, John D., “Women in Church Leadership: Proposed Solutions for New Testament Evidence,” Lexham Bible Dictionary, (Bellingham WA: Lexham Press, 2016). 5. Peterson, Eugene H., The Message, The Bible in Contemporary Language (The Message), (Colorado Springs: NavPress Publishing Group, 2002). Used by permission. 7. Elwell, Walter A., (Ed. ), Baker Encyclopedia of the Bible, (Grand Rapids, MI: Baker Book House, 1988), vol. 2, p. 1688. Ok guys, I get ya point, but lets face it, there is a lot of truth in the “I Feel Sorry” joke on the “JOKES” page. That is a good ‘come back,’ MerryMary. We guys deserved that. For those readers who aren’t familiar with the “Jokes” page, you can find it in the top menu bar under the item titled “The Funnies.” Hover over “The Funnies” and select “Jokes” from the drop-down menu. Sometimes I try to visualize what was really going on when scripture was written and the changes that have happen in our world since then. Laws, etc. that would affect a small town might not be relevant to a large city and vice versa. For example, today’s economy requires working mothers (both single and married) to acquire new skills (perhaps a degree) in addition to their formal education, learn to use computer programs, and many now own and operate a business. How would that compare to a man that may only have a high school education and does medial jobs? Would the members of a new modern church prefer his intellect over hers? Or perhaps there is another reason. Women and men are different and we act differently. My apologies ladies, I could not pass that one up. By the way, the two males were cowboys. I found them on the range. 😊 In today’s world I believe women should have equal voice.